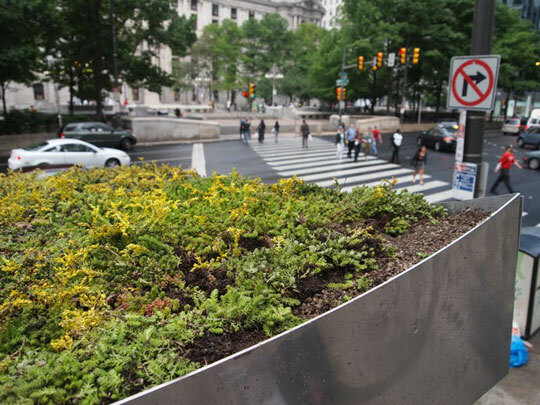 New partnership seeks to support companies creating green stormwater infrastructure, like this rain garden planting.What’s the stormwater buzz in Philly? , a program to enhance technological and economic opportunities surrounding green roofs, rain gardens and other landscape elements that reduce stormwater runoff and visually enhance our neighborhoods. “The GSI Partners and its member businesses have the opportunity to be the model for other cities across the country,” says Anna Shipp, GSI Partners project manager. The EPA is applying legal pressure on many U.S. cities to clean up their stormwater and eliminate combined sewer overflows, but Philadelphia is the first to organize a local network of relevant design, build and maintenance entities, giving the city a unique opportunity to shape the industry within the national spotlight. Members receive access to continuing education funds, communication with stakeholders and regulatory agencies and policy briefings. To learn more, contact Shipp at anna@sbnphiladelphia.org or 215.922.7400 ext. 107.